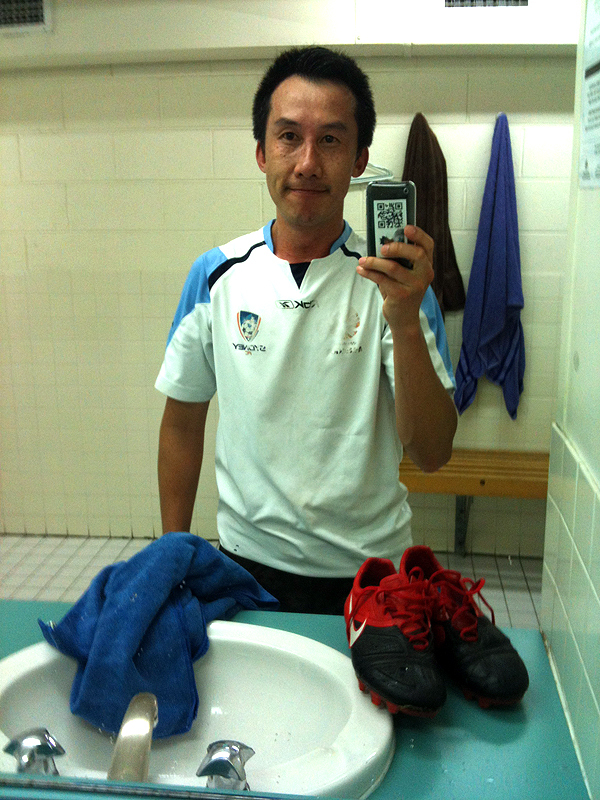 So today (11 Aug 2013) after playing a semi-grand final soccer match I learned something about myself. Aggression is one form that the raw energy and adrenalin can be expressed on the sporting field. We all have a reptile brain that is opposite and can cloud the logic and rational brain. Too much of the reptile brain can hinder good decisions. Kind of link an Incredible Hulk situation. So what did I really learn about myself? Too much mongrel is not helpful. I ended up playing dangerously, got a warning, eventually a yellow card and gave a away a penalty. A little bit of controlled mongrel is good, it can be expressed as confidence. So play the ball not the man and always aim to be a better player by the end of each match. Every good meeting needs a time keeper. Someone to keep the meeting to agenda and moving along. A tough but fair adjudicator. Sounds like a football (soccer) referee. How about we have a referee in each meeting? 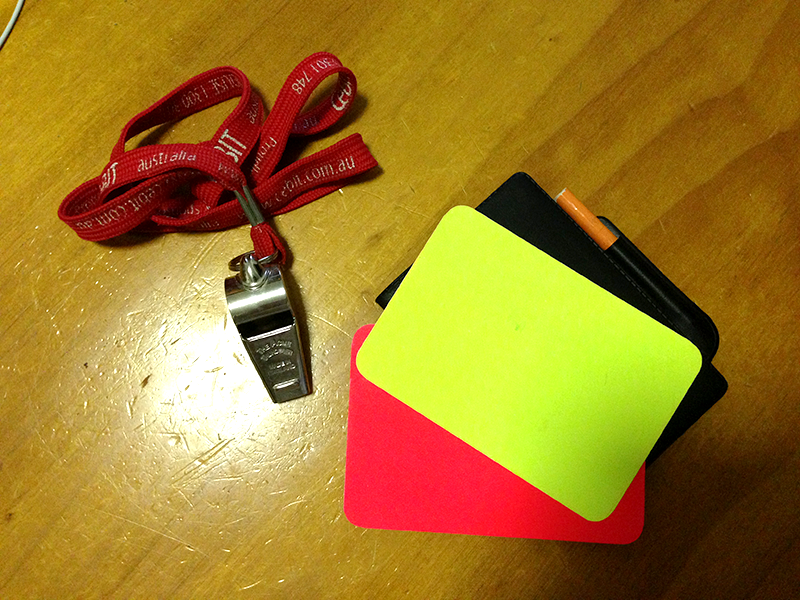 Blow the whistle at ‘half time’ for a short stand up break every half hour. Call a free kick or penalty kick against a non-productive discussion. Dish out a yellow card for non-productive comments. Dish out a red card to give ‘timeouts’. Meetings may get more productive and/or could be way too much fun! Some of my soccer boots from the present and past seasons. 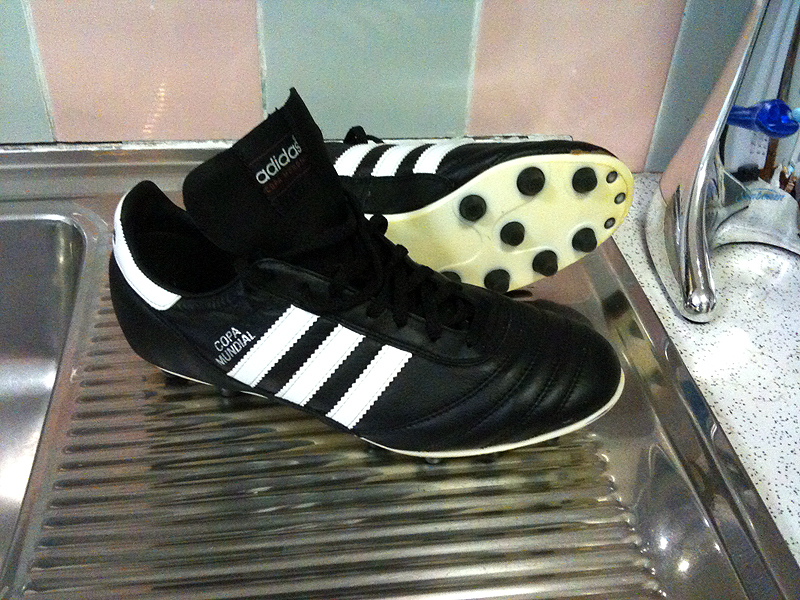 Soccer boots Adidas Classic, 2001 – 2003, (no picture cause I can’t find these boot anymore). 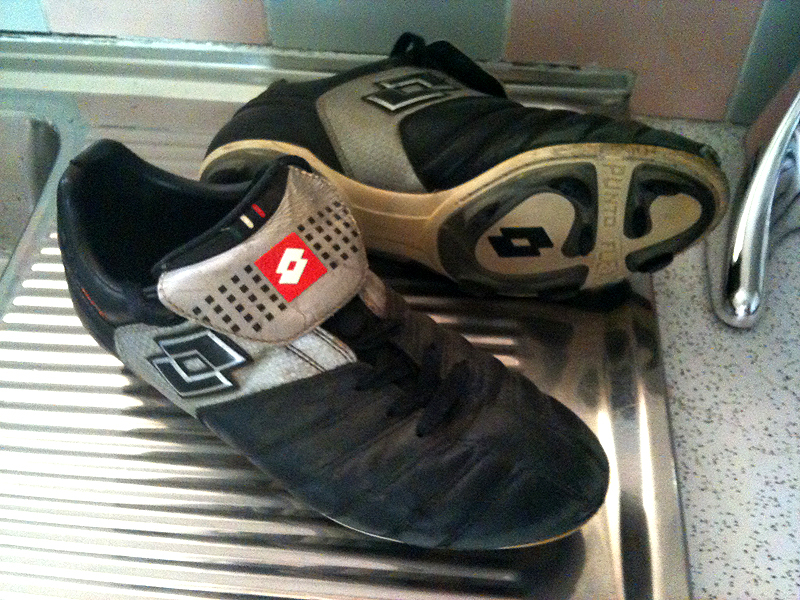 Soccer boots Lotto BFC, 2004 to 2007. Soccer boots Adidas Predator, 2008 – 2009. 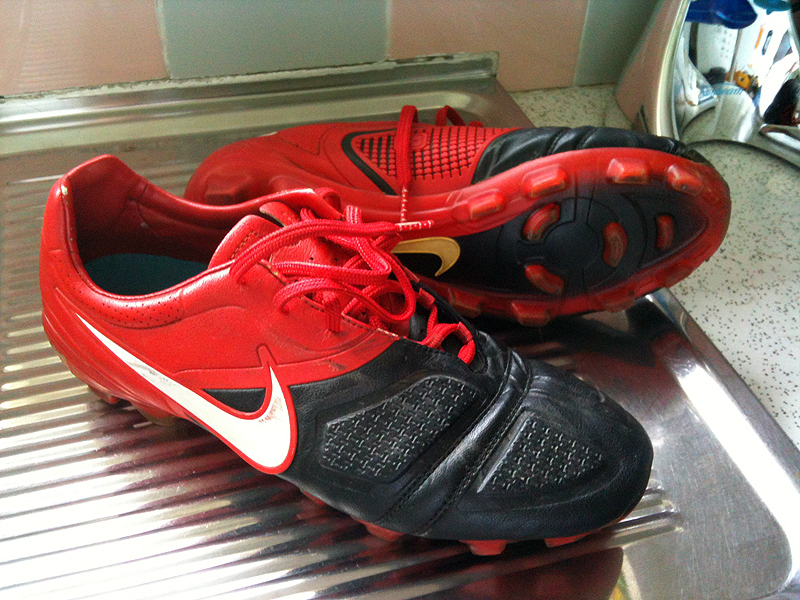 Soccer boots Nike CTR 360, 2010 – 2011. 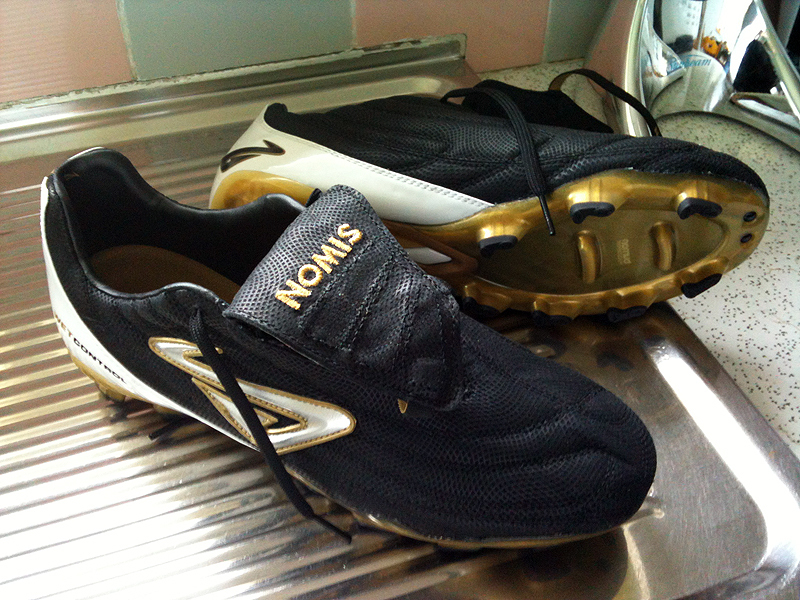 Soccer boots Nomis Glove FG, 2012 to present day. Soccer boots Adidas Copa Mundial, 2012 to present day. This year is my 11th soccer season in a row since I picked up soccer again in my adult life. 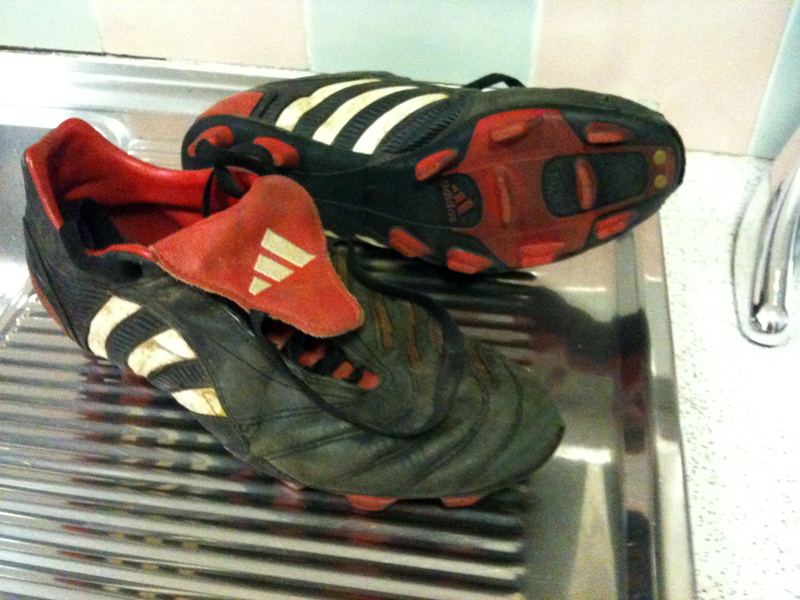 Above are photos of my 2 most recent pairs of soccer boots. I am amazed of the new designs there are every year and the design thinking that has gone into making them. My soccer boots remind me how important design and design thinking is in all things. What makes a good work environment? I like to play the game of soccer. Every Tue and Thur there is a casual soccer match in the park next to the office. Its a good balance to the mostly sitting in front of a computer type of work in the office environment. A 40 min run around, 10 min to have a shower and then grab a quick bite back at the desk. My mind feels sharper and my body invigorated after the physical exercise session.